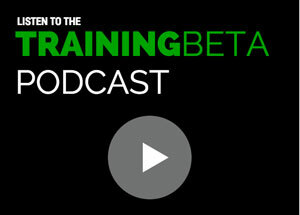 It’s Neely this time, and I want to introduce Matt Pincus, our content manager over here at TrainingBeta. 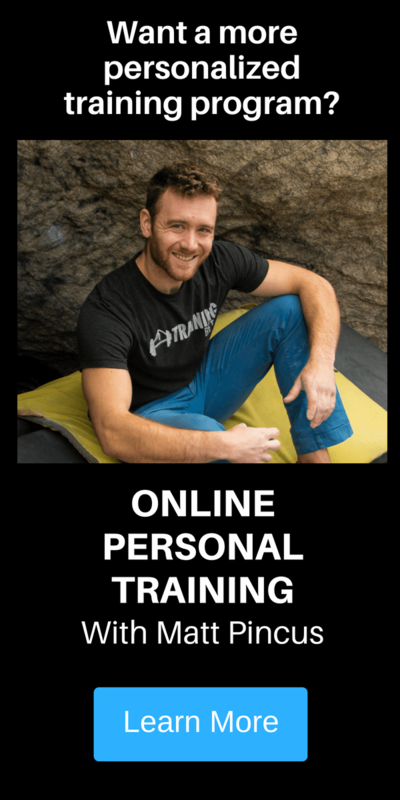 He’s been providing you with fantastic blog posts and social media posts since mid 2015, and today he’s doing so as a featured author on TrainingBeta. A while back, Matt sustained a finger injury pulling on mono pockets at Wild Iris after doing some extensive finger training. 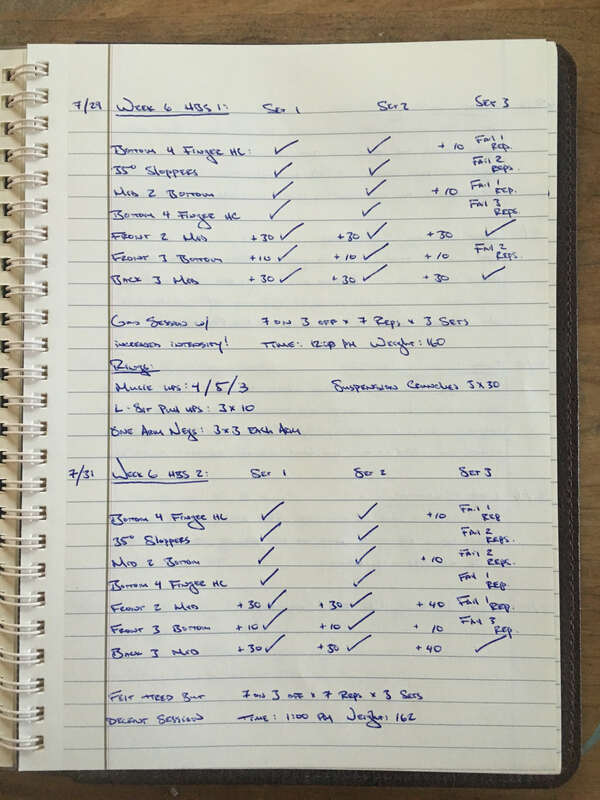 It was a long and arduous road to recovery, and in this post he describes where he went wrong in his training, how he recovered, what he learned from the experience, and whether or not he went back and sent the route that took him out. I hope you enjoy his concise account of his experience and take from this some sage advice about how to care for your fingers. About a year and a half ago, I was in the midst of the most productive period of climbing in my life. I had quit my job, moved into a van, and spent six months traveling around the West climbing as many hard boulders as possible. Unfortunately, I had to go back to work. With more psych than time to climb outdoors, I decided it was time to buckle down, do some serious training, and work towards climbing my first 5.14 sport route. After a long summer of training, things were going great and I was getting closer and closer to sending. That was until I sustained a nasty finger injury that ended my campaign on my project and landed me in a finger splint for three months. 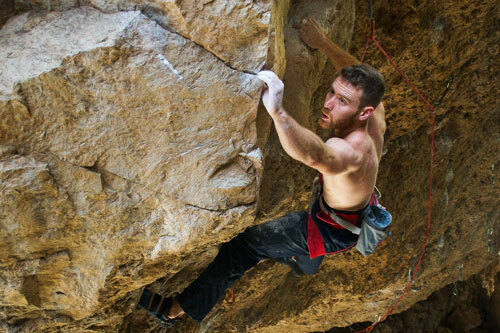 To help you not make the same mistakes that I did, and maybe help you make your healing process faster, here’s what I learned from my summer of training, injury, and the rehab process back to climbing. While I’ve always felt like I have worked hard to get stronger, I had never really committed to following a structured training program. In an effort to take things more seriously, I decided I was going to do a full cycle of the Anderson brothers Rock Prodigy Training System. I figured that I would train hard through the worst of the summer heat and be at my fittest once the fall temps arrived in September. One of the key principles the Anderson brothers harp on is specificity. 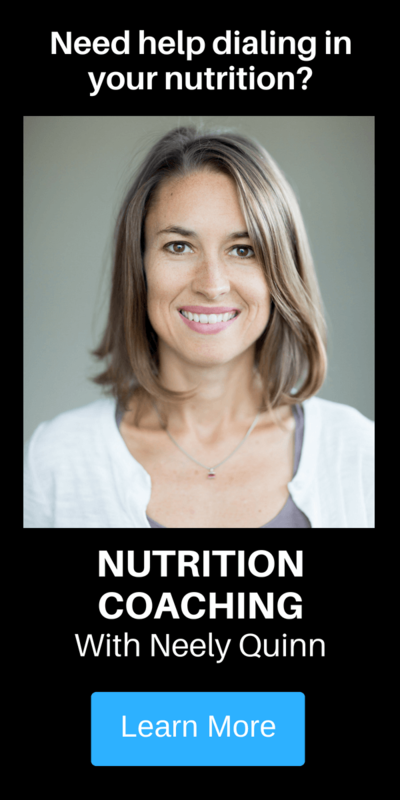 In other words, your training should be tailored to your goals as closely as possible. For me, living in Wyoming and climbing primarily in Lander, this meant no matter what 5.14 route I ended up choosing I would end up needing to pull on small one and two finger pockets. Essentially, of the seven grips I trained during each set, four of them were different pocket team variations: middle 2, front 2, front 3, and back 3. My thinking here was that by gradually building up the strength of my fingers in all of these configurations, I would be comfortable pulling on whatever pockets I came across. Additionally, by putting in the work on the hangboard, I would be getting my fingers accustomed to the open-handed pocket position in a controlled setting where I could safely and gradually increase the intensity with minimal risk of injury. As I moved through the power phase and into the power endurance phase of the training program, I felt like things were starting to click on a rope for me and I decided to invest in trying Rodeo Free Europe in an effort to fulfill my 5.14 goal. The route itself is extremely bouldery and features several hard mono pulls and a couple of other nasty two finger pockets. When I first went up it to check out the moves, I immediately felt like my training had worked. I could clip from pockets that a couple months earlier would have been inconceivable for me to hold. Having quickly done all the moves, I was psyched and felt like I stood a good chance of doing the route. It’s not that I didn’t think the route would put up a fight. I knew that it would still be really challenging for me to put everything together, but I was amazed at how doable the moves felt. Completely ecstatic that I felt like I could do the route, I spent the next couple weekends trying the route and getting progressively closer and closer. Unfortunately, while I was working and resting during the week I started to feel some tightness on top of my right middle finger near the PIP (middle) joint. While this was a little unnerving, I hadn’t felt any pain when climbing on the route so I wasn’t too worried. Just to be sure, I chose not to train or climb at all during the week to rest my finger as much as possible. However, while I rested all week the tightness increased, the PIP joint became swollen, and what had started as minor discomfort turned into acute pain. Undeterred, I drove straight back to Lander on the following Saturday morning ready to give it my all. As soon as I pulled onto the route I knew I was injured. I couldn’t even weight some of the holds that I had easily done moves off of the week before. Crushed, I threw in the towel and went home. After another week of rest, my finger was still extremely swollen and painful. I finally decided to go see a doctor. After a couple wasted visits to some general practitioners and another wasted week in a standard finger splint, I finally went to see a specialist. As soon as she saw my finger and I described the hold I thought could have hurt it (essentially a side-pull mono), she immediately diagnosed my injury as an extensor tendon/central slip strain. 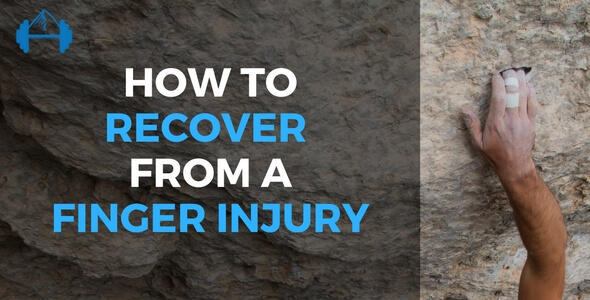 Personally, I was a bit confused as I had only ever heard or read about climbers injuring their flexor tendons or pulleys and was confused about how climbing could even hurt your extensors. While I am not a doctor or medical professional, it seems clear to me based on this information that the side pull mono on Rodeo Free Europe must have forcibly flexed the PIP joint while it was in an extended position. Obviously, this is a fairly obscure/uncommon climbing injury and there are the obvious risks associated with climbing on small one and two finger pockets. However, I really thought that all the pocket hangboard training I had done along with gradually easing into pulling on small pockets by doing a bunch of easier routes at the Wild Iris had safely prepared my fingers for this kind of strain. It turns out, however, all of the training I had been doing had been for my fingers’ flexor tendons and I had completely neglected doing any antagonist/oppositional training for the finger extensor tendons. To me, this seems like the glaring reason I got injured. While I had readied my flexor tendons for the forces monos and two finger pockets would put on them, I had done nothing to balance this out by training the extensor functions of my fingers. For what seemed to me like a relatively minor injury (extensor tendon strain, not a tear), the rehab process turned out to be fairly involved and rather long. 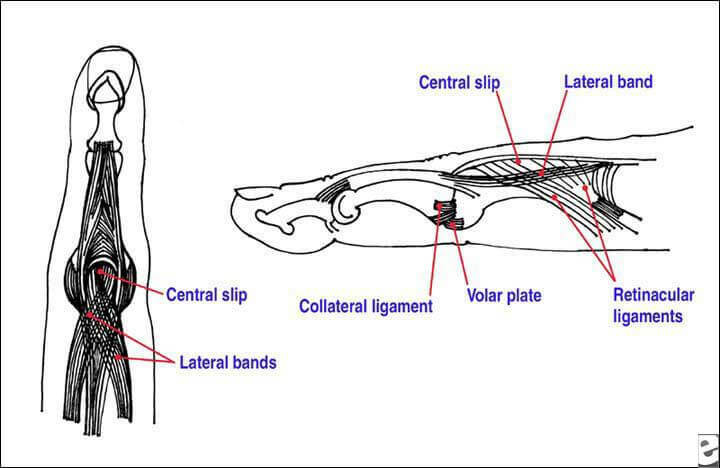 First of all, as we learned above, due to the positioning of the extensor tendon, they are prone to shortening which can inhibit range of motion. To ensure this wouldn’t happen, I spent 10 weeks with my finger splinted completely straight and in a compression sleeve to help alleviate the swelling around the PIP joint. Finally, after ten weeks of my finger being kept at full extension full time, my physical therapy sessions started to work on regaining range of motion. Initially, this was extremely painful as my finger was very stiff from being splinted full time. 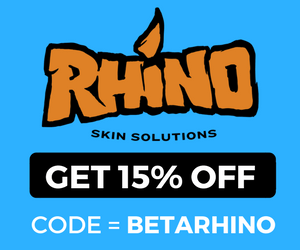 To regain my range of motion, I was instructed to do sets of tendon glides three times a day. After several weeks of working on range of motion, my last two weeks of physical therapy were spent working on re-strengthening my finger/hand through a series of Theraband ball exercises. Finally, fourteen weeks after seeing a specialist having my injury diagnosed and fifteen weeks after the injury itself, I was cleared to start climbing again. Returning to climbing was, as to be expected, a rather slow and at times painful process. Despite having done a lot of core work and gymnastic ring training while I was splinted in hopes of making as quick a return to climbing as possible, I felt very weak and completely out of sync with my climbing movements. I think my first gym session lasted all of 30 minutes before I was completely spent and felt like I had pushed my finger as far as I could without risking re-injury. Ultimately, the key for me in getting back to climbing and trying hard was patience. While I did start to see gains and could feel my finger getting stronger almost every session, it was certainly not a quick process and one where I had to constantly hold myself back from pushing too far. Despite it taking longer than I would have liked, once I was back climbing outside again, I really wanted to resume some structured training. However, I resisted this desire and simply tried to climb four days a week, two inside and two outside. Ultimately, I think it was one of the best decisions I made during this whole process as it allowed my finger to continue healing and regaining strength gradually. Additionally, while not performing my best was frustrating, not rushing into training let me not put any additional pressure on myself to climb harder quicker. Instead, I worked my way through lots of the classic routes in Lander’s Sinks Canyon I had ignored in the past and kept things as casual as possible. I’m sure I could probably have regained strength more quickly if I had done some more structured training, but I think it would have come with a higher risk of re-injury. Keeping things casual let me really listen to my body and ease off or push harder depending on what felt appropriate, and, after the winter in Sinks, I went up to Leavenworth, Washington for a three-week bouldering trip. Going on this trip, I had no idea what to expect. I felt like I was climbing some hard problems on our training board in Jackson, but I really had no idea how hard they actually were. Getting out and bouldering again was extremely motivating and I was quickly able to dispatch a handful of double-digit boulders up to V11. This really cemented in my mind that I had fully recovered and was back to being as strong as I was pre-injury. My return from Washington was a little over a year after I had started training to climb Rodeo Free Europe 5.14a and I was ready to train for another round of attempts. Obviously, this go around I changed my approach a little bit. 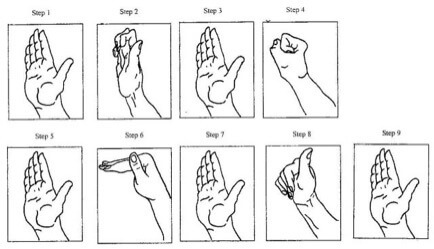 First, and most importantly, I have incorporated antagonist training for my fingers. I have always been pretty good about doing this for the shoulders and elbows (using a Flexbar and Therabands) and simply added my fingers into my oppositional training routine. Primarily, I have been using the PowerFingers System to strengthen my extensor tendons and prevent injury. These rubber trainers come in five different resistances and are very easy to use. 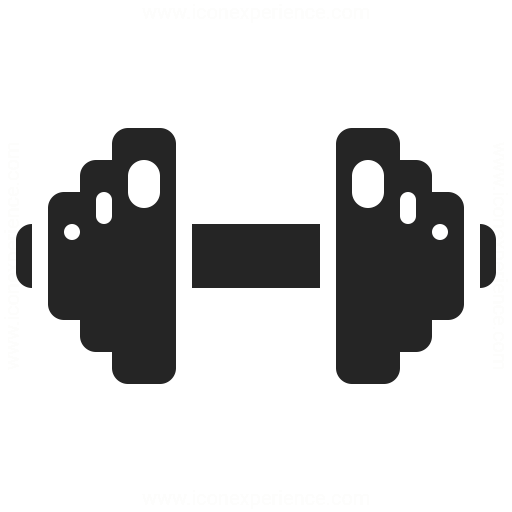 Currently, I use the middle difficulty band (dark grey) and do three sets of 45 reps on each hand three to five times a week. My main reason for switching things up like this was wanting to actually climb more. 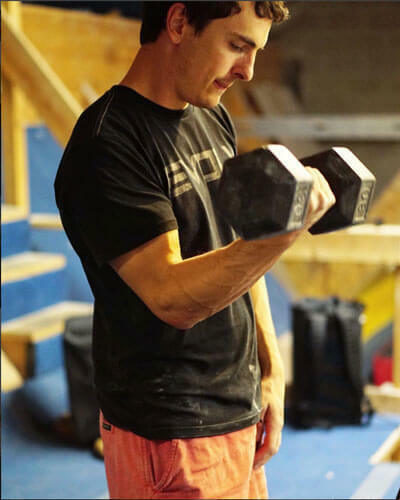 While I was extremely happy with the gains I made with the Anderson Brothers’ program, it requires a lot of discipline and at times prioritizes training over climbing. While it makes me feel slightly less committed, I wanted to train in a way that still allowed me to get out and climb a bunch. Additionally, while the six weeks I spent last summer training pockets on the hangboard really helped with my finger strength, I do think that some amount of cumulative fatigue caused by continually stressing my tendons this much probably played a role in causing my injury. To ready my fingers for more Wild Iris pockets, I have instead been using a modified version of Nate Drolet’s fingerboard program. Rather than doing three ten-second hangs with several minutes’ rest in between on the smallest crimp I can hold, I have been doing the same three ten-second hangs on the smallest mono I can hold. I do this workout once I am fully warmed up every training session I have (usually twice a week). 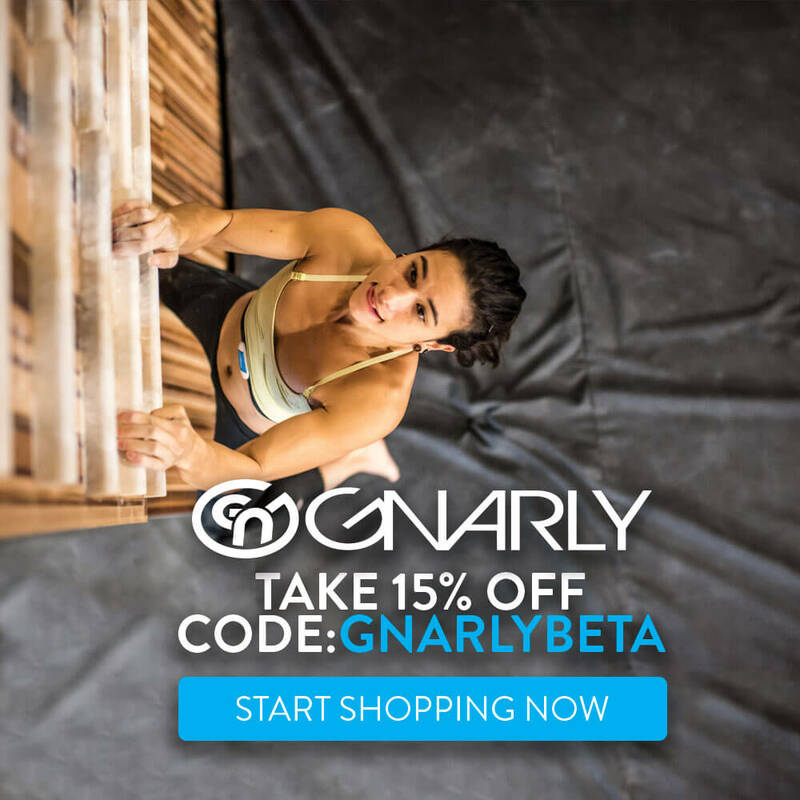 While I’m sure sticking to a more comprehensive hangboard program would produce even better gains, this schedule is really easy to follow and leaves plenty of time for climbing. After about a month and a half of following this new training program, I am very happy to report I redpointed Rodeo Free Europe for my first 5.14a route. Ultimately, the route felt easier, the holds felt less tweaky, and my fingers (including the one I injured) felt stronger. While sending definitely feels great, it feels even better to know that I have been able to come back from injury stronger and having learned from my mistakes. Finger Injury prevention is paramount: I know I spent more time than ever before doing antagonist work. While I knew this was important before my injury, there is nothing quite like three months of no climbing to hammer that home. See a specialist: If you do get hurt, don’t waste time and money going to a general practitioner. By doing so, I wasted another week not being able to climb, cost myself several hundred dollars in visit/x-ray fees, and was ultimately no closer to having an actual diagnosis or treatment plan. Training plans are great, but be flexible and open to learning: I definitely ignored some signs that an overuse injury was coming. This doesn’t mean the whole Anderson Brothers’ program is flawed. It just means I should have done a better job listening to my body and being ready to adjust rather than simply forging ahead because the schedule I was following said I should be peaking and entering a performance phase. In the end, I feel lucky that even though my finger injury was fairly serious I have been able to regain 100% strength and function. Do yourself a favor: Set lofty goals and work hard towards achieving them. Just remember that no route or boulder is worth getting injured for. Play the long game and work towards steady long-term improvement. If you do, the climb you are willing to hurt yourself for now may become a relatively easy tick in a few years. 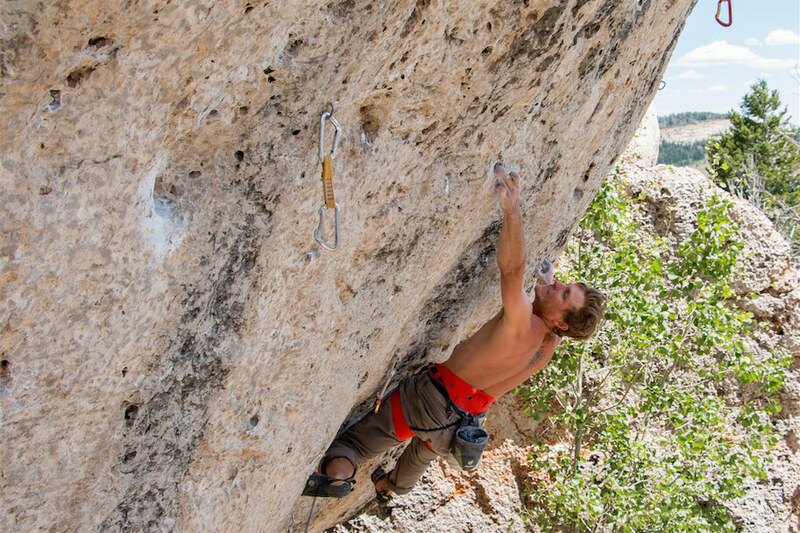 Matt is a boulderer and a sport climber living in Jackson, Wyoming, and sometimes in his van on the road. He’s responsible for most of the blog posts and social media posts for TrainingBeta. He’s constantly changing and tweaking the ways he trains as he learns new things. Always motivated, you will find Matt underneath his current project doing his best to figure out what he needs to send.
. How did you keep sane? I have to have the finger strapped and not used at all times, so no climbing, swimming, biking, gardening, etc. Very sorry to hear about your injury. Being hurt is definitely never fun. For me, the key to staying sane was figuring out ways that I could still be active without interfering with the healing process. I’m based out of Jackson, WY so I was able to ski a lot. In terms of training, at first, I just did a lot of yoga. Then, once I was able to hold a gymnastics ring (with my finger still splinted), I did a lot of training on those. Mostly it consisted of fly, rollouts, muscle ups, and archer pushups.